Our Team. We listen. We care. We represent. Jill graduated from Queens University with an LLB (Hons) in 1991 and was admitted to the Roll of Solicitors in 1993. She trained and worked with Reavey & Company Solicitors before joining Magennis & Creighton as a Partner in 1999. Jill specialises in all aspects of Family law and has extensive experience in dealing with the financial effects of separation and divorce. Jill has trained as a Collaborative Lawyer which is an alternative means for resolving issues where the parties agree not to issue court proceedings and the parties play a central role in resolving their issues. 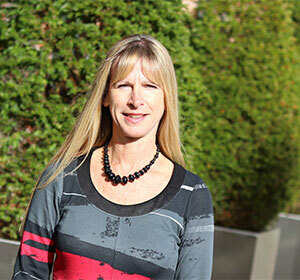 Jill also specialises in Children Order proceedings and has been a member of the Law Society Children Order Panel since its formation in 1995. This enables her to represent children where Social Services are involved and as a result she has extensive experience and knowledge in working with other professionals such as child psychiatrists and psychologists. Jill has extensive experience with Legal Aid and can advise on entitlement and its effects. Jill has been a Trustee of Relate for over 15 years. This enables her to keep up to date with other services that are available for individuals to support and help them when they experience relationship problems. Jill also advises and represents individuals who are subject to detention under the Mental Health (NI) Order 1986. Jill also specialises in Employment Law, including representation before the Industrial Tribunals.